Airlines around the world today are serving a much more informed, sophisticated, tech-savvy and demanding customer. Airline service today needs to be delivered by working smarter and faster and this cannot be achieved without keeping pace with new technology. When asked how to become a Millionaire, Richard Branson said, "You start off as a Billionaire and then open an Airline." In recent years, the high cost of fuel has added another layer of fees that airlines have to charge in order to offset this major expenditure. Nearly everything an airline used to include as a courtesy now has a fee: Checked baggage, in-flight meals, earphones, ticket changes etc. Long gone are the days when an airline employee had the ability to make a customer happy by simply waiving a fee or giving them an upgrade to business class. Automation in the airline industry has resulted in far less human interaction between airline customers and airline employees. Every process from the initial online booking of a flight, to online check-in, automated bag tagging, and boarding an aircraft has been streamlined to provide maximum efficiency. While still performing some traditional customer service work, airline employees act more as an intermediary or a facilitator between themselves and their automated services. Customer touch points are brief, and expectations for exceptional service are much higher. According to About Travel Feb. 2017, the top 5 airlines in North America are American Airlines, Delta Airlines, Southwest Airlines, United Airlines and Air Canada. On March 28, 2017, Jazz Aviation LP was named one of Canada's Best Diversity Employers for a sixth consecutive year. I take personal pride in this achievement as I worked for Jazz Aviation for 27 years and promoted diversity in all of my recruiting and hiring practices. Every country around the world has their list of the top-level airlines. Not all customers travel on an airline for the same reasons just as not all employees choose to work for an airline for the same reason. As an example, Asiana Airlines has been lauded for its ethical and environmentally friendly approach to flying, with rainforest-friendly coffee beans and reduced carbon emissions bolstering the company's prestige. To remain competitive, airlines have to be innovative and pro-active in all of their practices and processes. Restructuring has become the common practice and many of big airlines have filed for bankruptcy or looked for government assistance. 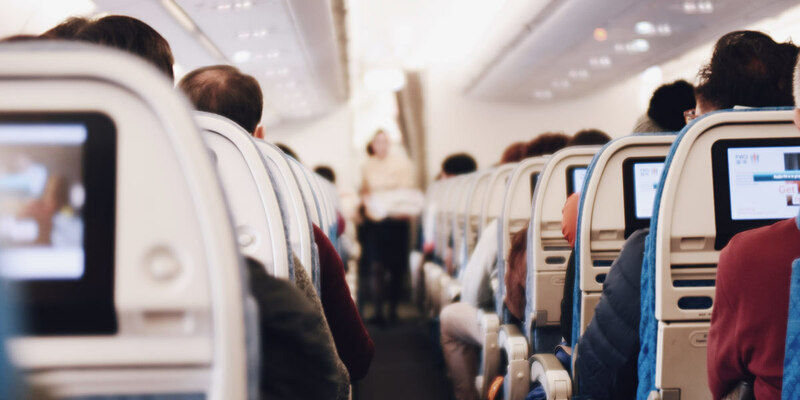 Dwindling profits are always a challenge with major airlines as low-cost carriers continue to attract passengers with less service but more affordable ticket prices. Labor is the key to an airline company as on average, 40% of their costs go to labor. An airline must have strategic management of their assets, cash flow, labor, and scheduling to stay afloat. Unfortunately, due to the many factors from terrorism to increased government regulations, solid predictions on the future are a challenge for any specific airline. Locations That an Airline Services – The servicing of particular geographical markets are essential in the nature of the airline industry. Airlines need to offer routes between markets that are desired and utilized by customers. Cost Structure of an Airline’s Operations – The costs that are inherent in the operations of an airline are a real limit to how low airfares can be. Costs include maintenance, fuel, labor, fees and lease payments for operating in airports, and various other costs. Airlines that are able to control costs can attract customers with lower fares and can improve overall profitability. Safety and Reliability – An airline with a reputation for safe and reliable service has been shown to develop a positive image among customers, which can lead to more repeat business. Reliability in the air travel industry is measured by several elements: reports of mishandled baggage, the on-time arrival of flights, involuntary boarding denials from overbooking flights, and passenger complaints. Those airlines that are able to control these elements are said to provide better service to the customer and thus offer more reliable service. High Caliber and Competent Staff - The workforce of an airline can define the customers’ perceptions of the airlines’ image. A professional and pleasant workforce can encourage repeat business. An unprofessional, unengaged workforce can drive customers away to rivals.